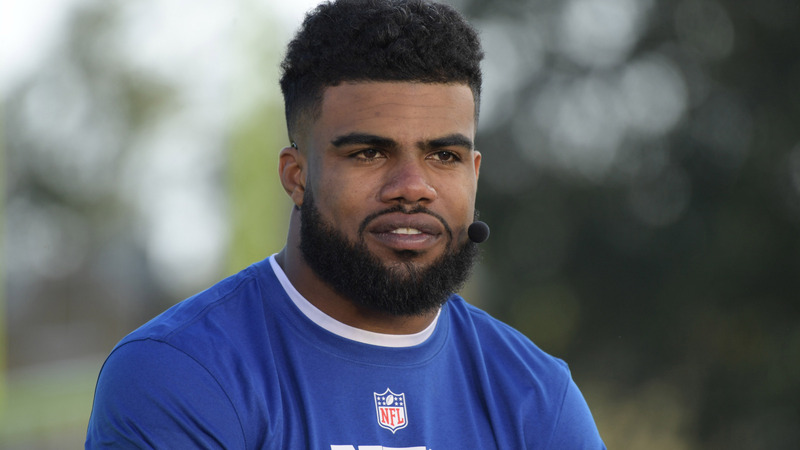 Ezekiel Elliott has earned any penalty he gets. He may or may not be guilty of sexual assault – the police didn’t charge him, after all – but he has been the proud mayor of Knuckleheadsville since getting drafted. Going into a marijuana shop when the Cowboys were visiting Seattle, pulling up a girl’s top on camera at a parade, allegedly getting into an altercation at a bar, etc. 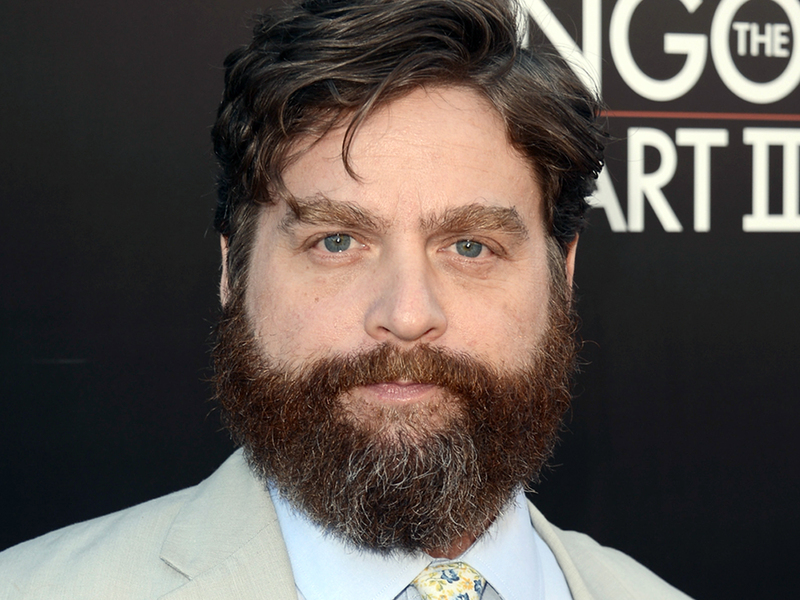 And I’m not even to talk about his ugly beard, which looks like a poor man’s Zack Galifianakis. Here’s hoping the suspension – and some clippers – will straighten him out a bit. Colin Kaepernick simply isn’t good enough to make signing him worth the media-circus headache, not unlike Tim Tebow. Yes, despite his regression, he is a far superior QB to Tebow – he’s led a team to the Super Bowl and within yards of another – and is capable of being a starter in the right situation. But that really doesn’t matter as most NFL owners are terrified of drama and won’t to stick their necks out for a QB a) whose record was 3-16 over the past two seasons and b) lost his starting job to Blaine Gabbert. If he’d played great football in 2015-16, it’d be different. I’m fine with Aaron Donald’s holdout; same goes for Le’Veon Bell’s delayed arrival at training camp. And Kirk Cousins is right to hold the Redskins’ collective feet to the fire. NFL players have much shorter careers and higher risk of injury than their MLB and NBA counterparts yet take home far less. And, also unlike players in other sports, there are no fully guaranteed contracts in pro football. On a related note, expect a lengthy labor stoppage in 2020. The players were had in the previous collective bargaining agreement and they know it. Arena League, anyone? Sean Payton and John Harbaugh, untouchable as recently as three years ago, are both on the hot seat. Payton has gone 7-9 three years running and Harbaugh has missed the playoffs three of the past four seasons. If they don’t make the postseason this year, it could be sayonara. Last year’s won-loss record was 132-77 (63.2%). 2016 regular-season records in parentheses. Kansas City (12-4) at New England (14-2) This tilt features the two winningest active NFL coaches – Bill Belichick with 237 regular season wins and Andy Reid with 173 (John Fox is a distant third with 128). And they are also two of the greatest producers of coaches with nine of Andy Reid’s assistants becoming NFL head coaches vs. seven of Belichick’s. Two ways in which these men differ: dining habits and success in season openers. Belichick is a no frills guy who eats chips while working; Reid waits on the curb for people to bring him top-notch barbecue. Advantage, Reid. However, when it comes to the first game of the regular season, Belichick holds a significant edge over Coach Reid, with a 15-7 won-loss record vs. 10-8. Reid’s teams tend to start a bit slowly and gain steam later in the season, perhaps after he is properly fueled with barbecue (or, in his previous football life, cheesesteaks). PATRIOTS, 26-22. New York Jets (5-11) at Buffalo Bills (7-9).The tank job the Jets are undertaking would do the 76ers proud but the Bills have a little Sam Hinkie in them as well, with the trades of Sammy Watkins and Ronald Darby in recent weeks. Gee, I wonder why Doug Marrone left Buffalo. BILLS, 20-9. Baltimore (8-8) at Cincinnati (6-9-1). This is one of the NFL’s underrated rivalries and you’ve got two coaches who have to win now in John Harbaugh and Marvin Lewis. Yes, Lewis has turned the franchise around in his 14 seasons but his 0-7 playoff record stands out like a midsummer sweat stain on a SIR STRIPES shirt. Two things in the Ravens’ favor: Cincy’s Vontaze Burfict is out due to suspension (again) and they’ve got the better kicker in Justin Tucker. RAVENS, 16-15. Pittsburgh (11-5) at Cleveland (1-15). I’m not sure what it is but I’ve got love for Browns Coach Hue Jackson. I like how resilient he is, how he coaches his guys. And I think this rivalry might be about to get competitive again. And Week One is the perfect week for this game for Cleveland. Martavis Bryant is fresh off a suspension, Le’Veon Bell is fresh off the couch and, because it’s early in the year, injuries haven’t hit either team i.e. the Browns depth, which isn’t as great as that of Pittsburgh, is still decent at this juncture. Upset special. BROWNS, 19-17. Jacksonville (3-13) at Houston (9-7). Everyone is cheering for Houston in the wake of Hurricane Harvey and what JJ Watt has done in the past month blows away anything he’s done on the football field. God bless the good folks of Texas and here’s to as speedy a recovery as possible. Back on the field, it’s hard not to notice what Jacksonville is doing to turn the corner, bringing structure and discipline to an organization via the hires of Messrs. Coughlin and Marrone. Early evidence that there are no sacred cows is the fact that QB Blake Bortles was forced to take part in a competition to win the starting job. That didn’t happen under previous management. TEXANS, 24-21. Oakland (12-4) at Tennessee (9-7). Two of the most intriguing teams in the league but what gets me the most excited is the Titans’ offensive line. This front is almost poetic in its movement, like watching one FATBACK HOBBS effortlessly take down a sack of burgers. These guys can all play at an elevated level and Jack Conklin and Taylor Lewan may soon be the best tackle tandem in the league. It all adds up to a rough opener for the boys from Oaktown. TITANS, 30-27. Atlanta (11-5) at Chicago (3-13).Dan Quinn may have most of his team back, save Kyle Shanahan, but how resilient will his team be in the face of the Super Bowl collapse? And will it change Quinn’s uber aggressive style of coaching? Fortunately for the Falcons, they open against the Bears, as abysmal a team as exists right now. An elixir, they are. FALCONS, 41-13. Arizona (7-8-1) at Dee-troit (9-7). There are two kinds of crazy: one is the guy who loves those old Mentos commercials and the second is the one who thinks that the Lions are going to get better with all the money they’ve just given Matthew Stafford. Take Arizona. CARDS, 23-17. Tampa (9-7) at Miami (10-6). The game won’t be played this week due to Hurricane Irma but what a masterful job by Jay Cutler, retiring from a three-win team and winding up as starter for a contender. I may call him for advice when I decide to start working again. On a more important note, we are keeping the folks of the Caribbean and Florida in our prayers as the storm advances. All the best to any of your friends or loved ones who may be near it. Philadelphia (7-9) at Washington (8-7-1). I hate to say it but I think the Eagles are primed for a strong season. The Skins, on the other hand, will be much better in the second half than in the first half. Like THE CHIEF after he’s had a cocktail. 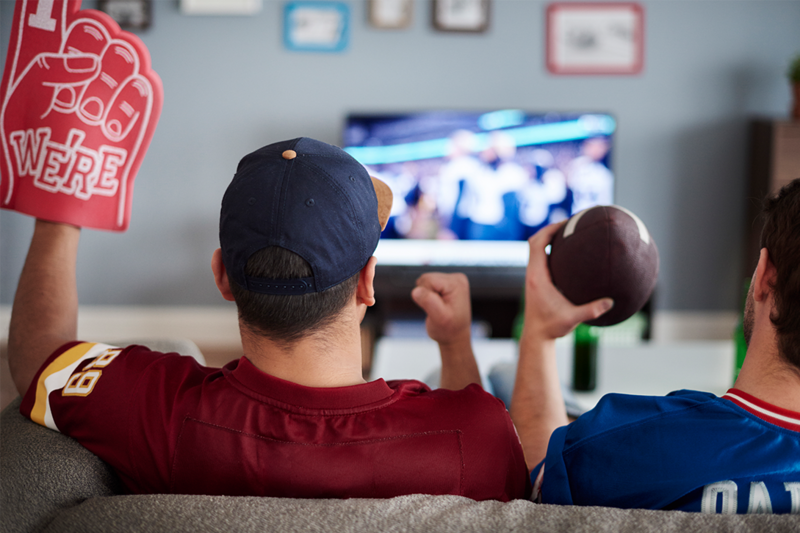 This Sunday, however, there is one major matchup favoring the home team: their passing offense vs the Birds’ defense, which is as stout as Napoleon’s crew. And speaking of the past, Kirk Cousins historically crushes Philadelphia with a 4-1 record, a 64% completion percentage, 316 yards per game and 12 TDs vs three INTs. REDSKINS, 41-38. Indianapolis (8-8) at Los Angeles Rams (4-12). Andrew Luck reminds me of two Mannings, Peyton for the way he (sometimes) plays and Archie for his propensity for injury. He’s a tough guy but has won just 10 of his past 23 games, missing the playoffs each of the past two seasons. And QBs, like Navy admirals and great Yahtzee players, are judged by wins and losses. This Sunday, Luck will be out of action due to injury, opening the window for the Rams to claim a nice season-opening win. 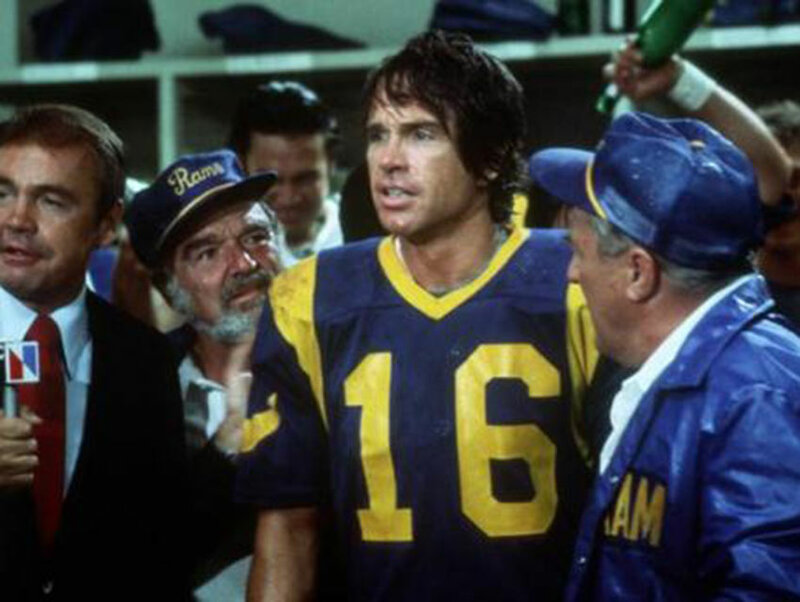 People are talking up Jared Goff right now, as if he’s the next Joe Pendleton. Let’s see what happens. RAMS, 23-16. Seattle (10-5-1) at Green Bay (10-6). How will the Packers o-line contend with the stellar Seattle defense? My goodness, the Sheldon Richardson deal was the biggest steal since I snagged THE FAIR CLAUDINE. And the Seahawks-Jets trade didn’t cost anyone their masculinity. SEAHAWKS, 27-24. Carolina (6-10) at San Francisco (2-14). Cam Newton has become the third most famous Newton of all time (#1 – Isaac, #2 – Fig) but the most important player on the Panthers roster is Christian McCaffrey, the man in the best position to transform Carolina’s offense. He’s quick, fast (you don’t always get both) and has a great feel for the passing game. Watch him take off in week one. PANTHERS, 29-10. New York Giants (11-5) at Dallas (13-3). The Giants had to be smiling about missing Ezekiel Elliott due to suspension but “Not so fast!” It turns out that Elliott is free to play this weekend and then will serve his six-game penalty. Everyone is high on the Giants and, despite the offensive firepower, it’ll be their defense that should carry them. They are an impressive unit but will be tested on Sunday night. GIANTS, 17-16. New Orleans (7-9) at Minnesota (8-8).Forget Drew Brees, forget Sean Payton. Mike Zimmer is the toughest guy in this game – dude doesn’t even think he needs two eyes to coach. Think a guy like that is going to stay up at night worried about Adrian Peterson’s quest for revenge? VIKINGS, 23-19. Los Angeles Chargers (5-11) at Denver (9-7). The #1 sign that your season opener has little crowd appeal: the signing of Brock Osweiler is a top storyline. BRONCOS, 30-17.